I’m pleased to announce the first milestone of Spring Web Flow 2.2 is now available for download. 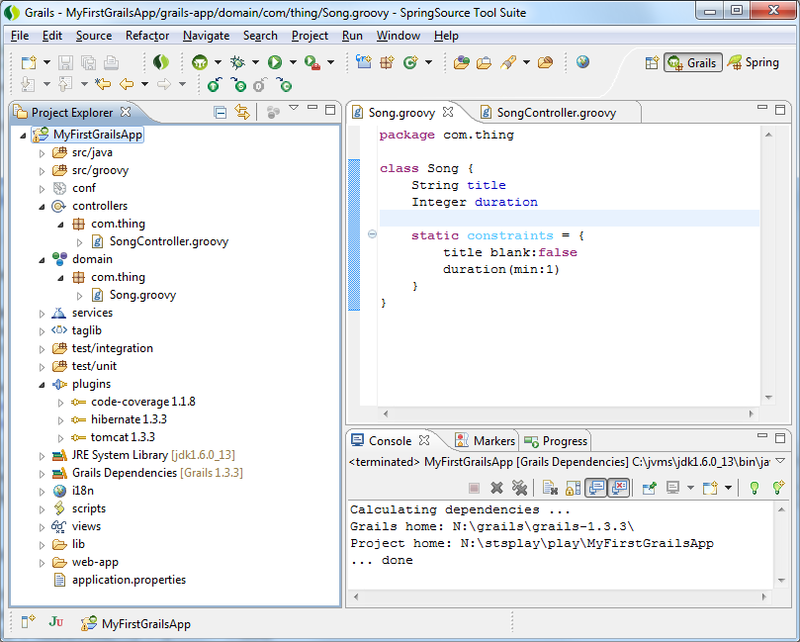 The release is also available through the Maven milestone repository at http://maven.springframework.org/milestone. As with Spring Web Flow 2.1, this release requires JDK 1.5, Spring 3 and Spring Security 3. The main focus of the release is to address the needs of JSF users by extending the list of supported JSF 2 features. Not long ago Web Flow 2.1 made it possible to use JSF 2 dependencies without the need for the separate Sun Facelets jar that is commonly used with JSF 1.2 today. I am happy to announce the first milestone release of the Spring GemFire project, the newest member in the Spring family. Spring GemFire (for short SGF) brings the Spring concepts and programming model to GemFire, SpringSource’s distributed data management platform. The release is available for both Java and .NET. Implement “on-demand” authentication when a user accesses a secured resource. Supplement the information from Google Accounts with application-specific roles. Store user account data in an App Engine datastore using the native API. Setup access-control restrictions based on the roles assigned to users. Disable the accounts of specific users to prevent access. It’s great to hear that people are finding these articles useful, so it’s with great pleasure that I add another to the series. This time I’m going to talk about associations again, but with the focus on when they are loaded into memory. Update 2 Aug 2010 I have added more information on eager fetching with one-to-many relationships because there are some issues you need to be aware of. One of the first things people learn about GORM relationships is that they are loaded lazily by default. In other words, when you fetch a domain instance from the database, none of its relations will be loaded. Instead, GORM will only load a relation when you actually use it. Since the big Spring 3 release last year, I’ve been working on a number of application development projects and extracting “showcases” of various framework features. These “showcases” are not reference applications or tutorials, they’re more like acceptance tests for specific framework capabilities. After seeing a showcase, you should have a good idea of what the technology can do. The first showcase I’ve put together is for Spring MVC 3, our web framework. It includes a sample project, along with a supporting slide presentation and screencast. After digging in, you should have a good understanding of what Spring MVC can do and get a feel for how easy it is to use. The recently released STS 2.3.3 M2 introduced a series of enhancements to our Grails support for Eclipse. In this article I’ll be discussing what you can expect to find if you try it out (grab it here: SpringSource Tool Suite). Also, related to plugins, we have a new Grails Plugin Project wizard. This is very similar to the Grails Project Wizard, but instead of running create-app, it will cause the create-plugin command to run. With this new wizard and the new support we have for local (inplace) plugins, it is much easier to develop your application following a plugin oriented architecture. The first maintenance release in the 2.1 branch of Spring Web Flow is now available for download. We are pleased to announce that the first milestone release of the Spring AMQP 1.0 project is now available for both Java and .NET! Spring AMQP makes common Spring idioms available to developers who are building AMQP-based messaging solutions. For example, building a messaging application that uses RabbitMQ as a broker will feel quite similar to building an application based on Spring’s JMS support. To learn more about the project, visit the Spring AMQP Homepage. There you will find links to the Reference Manual, Forum, Issue Tracker, and more. I’m pleased to announce we’ve just released Spring Roo 1.1.0.M2 (download here). We’ve also concurrently released SpringSource Tool Suite 2.3.3.M2, which offers the latest integration with this new Spring Roo release. For production use we recommend you continue to use Spring Roo 1.0.2, although we know a very large number of people are happily using the Roo 1.1.0 development releases as well.